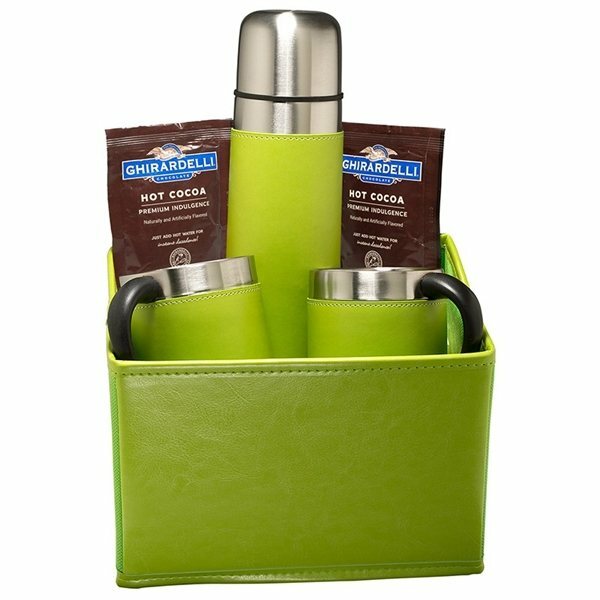 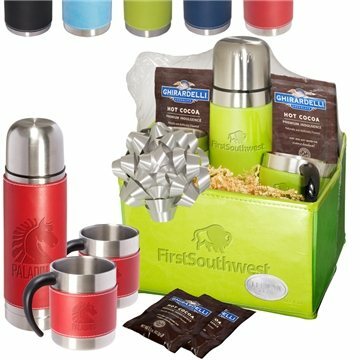 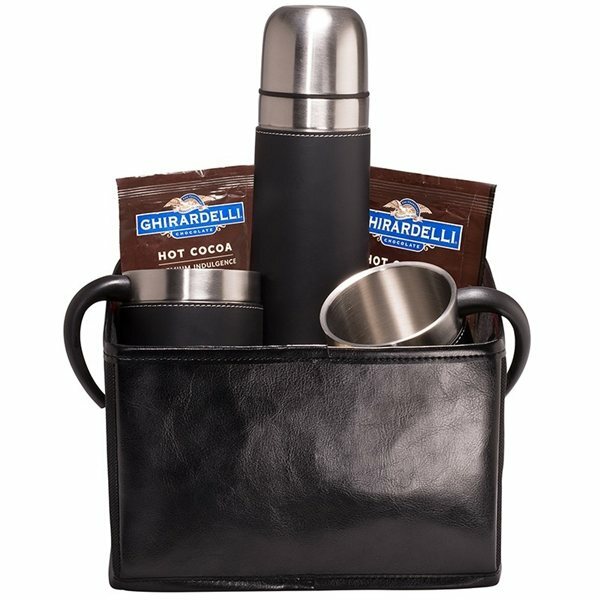 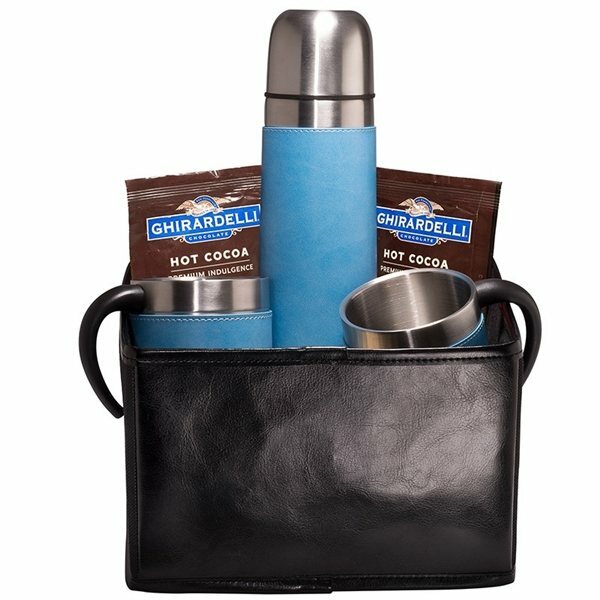 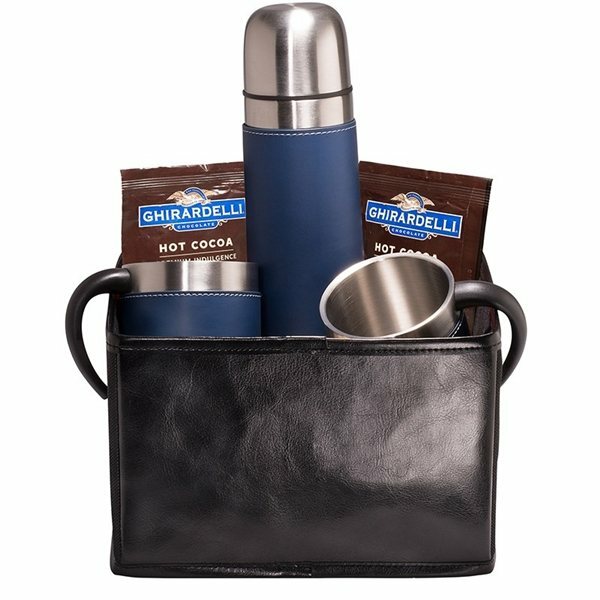 Includes the Tuscany™ Thermal Bottle, two Tuscany™ Coffee Cups, the Venezia™ Folding Bin and two packets of Ghirardelli® Premium Hot Cocoa Mix. 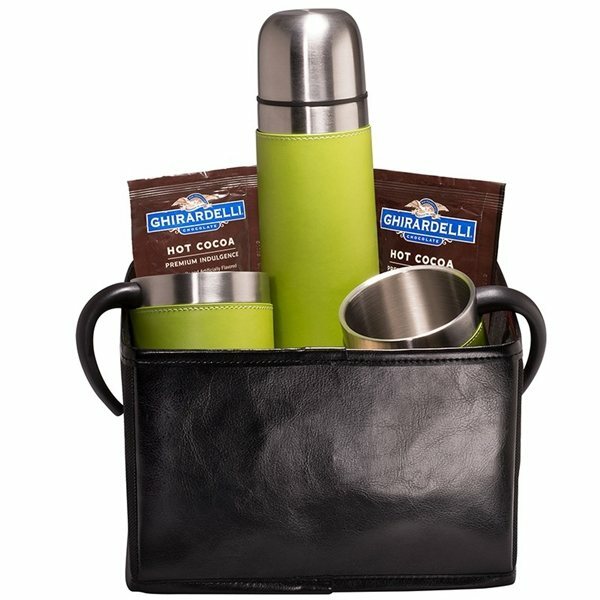 Thermal Bottle is 16.9 oz. 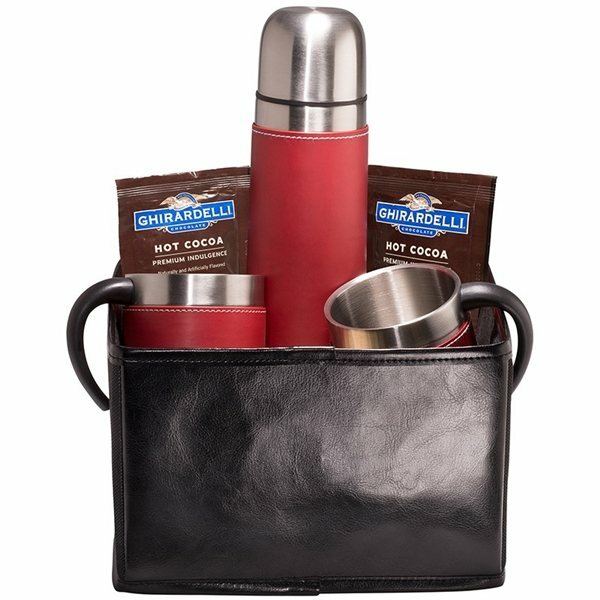 (499 mL) stainless steel with soft faux leather sleeve and stainless steel, leak-proof cap keeps drinks hot or cold for hours. Cups are 10 oz. 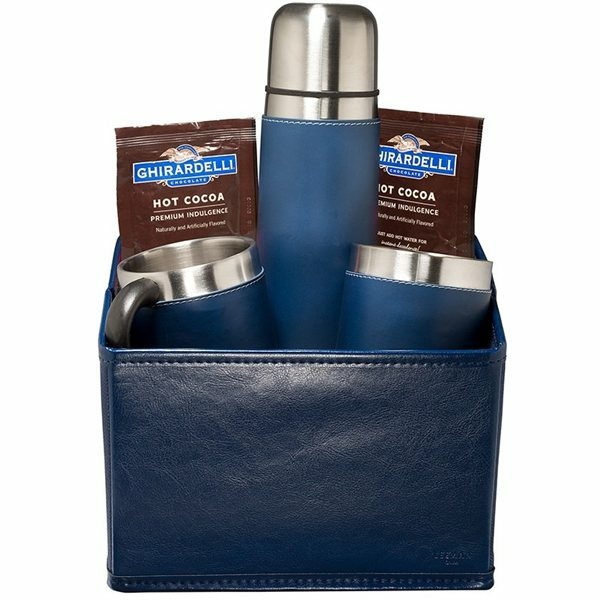 (295 mL) double-wall stainless steel with bonded leather sleeve, heat-resistant Polypropylene handle. 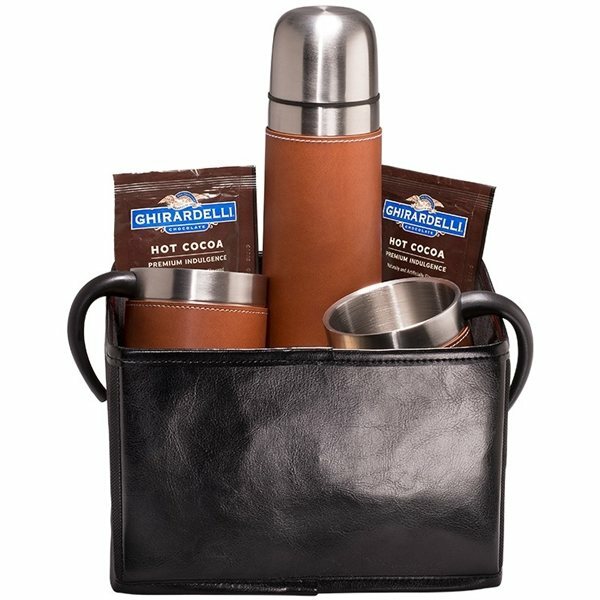 Leather sleeve removes for washing. 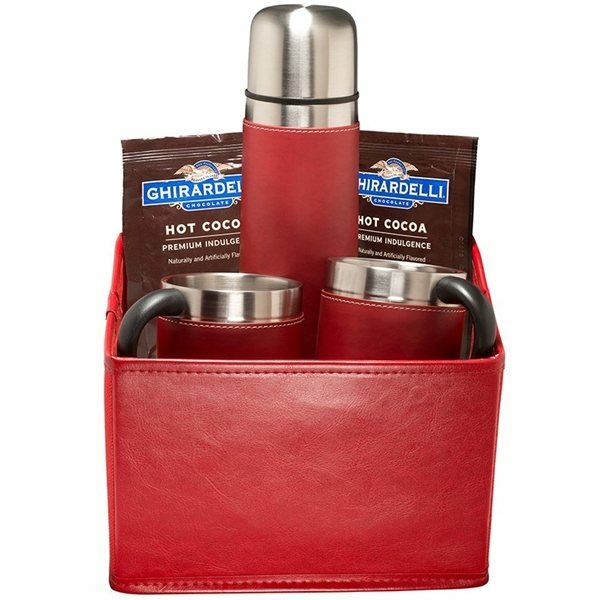 Bin collapsible glazed faux leather and 80 GSM Non-Woven fabric with removable 80 GSM Non-Woven fabric covered cardboard bottom holds box shape.